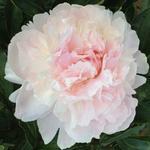 Members of this group are popular and the most commonly grown peonies in North America. Ancestors of the currently large collection of cultivated sorts were first imported to Europe from China about 200 years ago. By then their history could be measured in centuries. These cultivars offer flowering from midseason to very late, on the scale described elsewhere in this pamphlet. 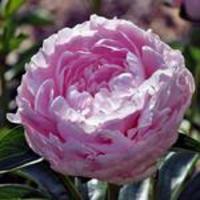 With a few exceptions, they made up the collection of sorts known at the time the American Peony Society was formed in 1903. 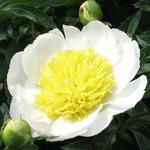 Among them are the peonies known from old farmsteads and cemeteries. One cemetery collection I have known continued to give a spectacular display after at least 65 years, no further plantings had been allowed from 1932. 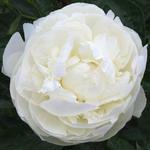 All of these peonies are satisfactory for cut flowers, we comment especially on their habit for flowering in the landscape. They characteristically have side-buds, which may be removed to produce flowers one per stem or left on to extend flowering in the garden. At individual descriptions we intend to alert you to the need for support in the viewed landscape on those sorts likely to collapse when opened flowers are subjected to spring rain and winds. These sorts make some of the best-loved flowers and will always be wanted. However, for an easier care landscape, one might consider planting them away from the public area and the most viewed private portion of the landscape, as a cutting garden. Alternatively, plan for the extra grooming associated with mechanical supports. Some will be tagged Best Landscaper.